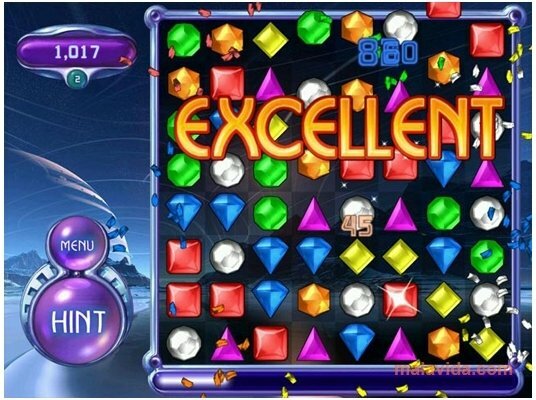 If you like simple and entertaining games to play a quick game in your spare time, you will probably know Bejeweled, one of the most addictive games of the last few years. 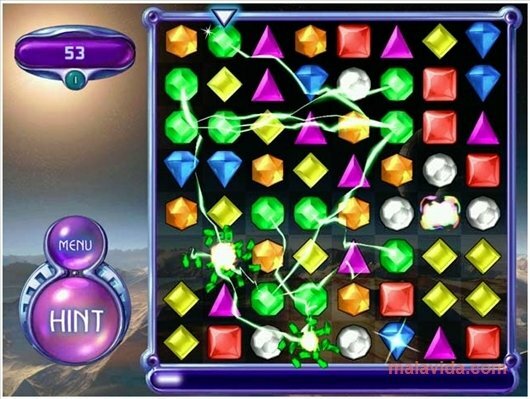 The game where you have to combine the identical gems and precious stones to get points. 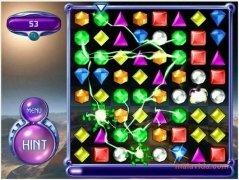 Once you start playing Bejeweled you will be hooked to its incredible playability that will keep you glued to the computer for quite a while. Its animations accomplish their mission, the gems move smoothly, and you will see explosions, rays and other animations when you manage special combos. The more gems you combine, the more points you will receive. 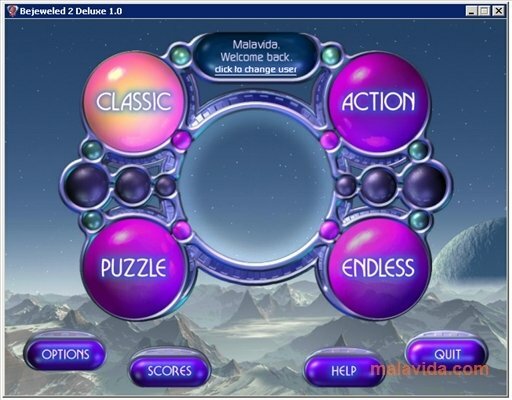 Furthermore, so you don't get bored, Bejeweled 2 has four playing modes: Classic, Action, Puzzle and Never Ending. So it will probably take you some time to dominate all of them. Although if the game detects that you can't find the next movement, you'll be offered advice. 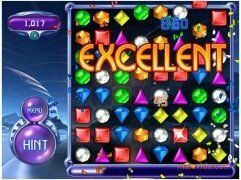 Bejeweled is an entertaining game that, without being pretentious, becomes an incredibly addictive pastime, so download it now. This demo will let you test the game for 60 minutes.